Beat the egg yolks with 1 spoonful of arrowroot and a pinch of salt. 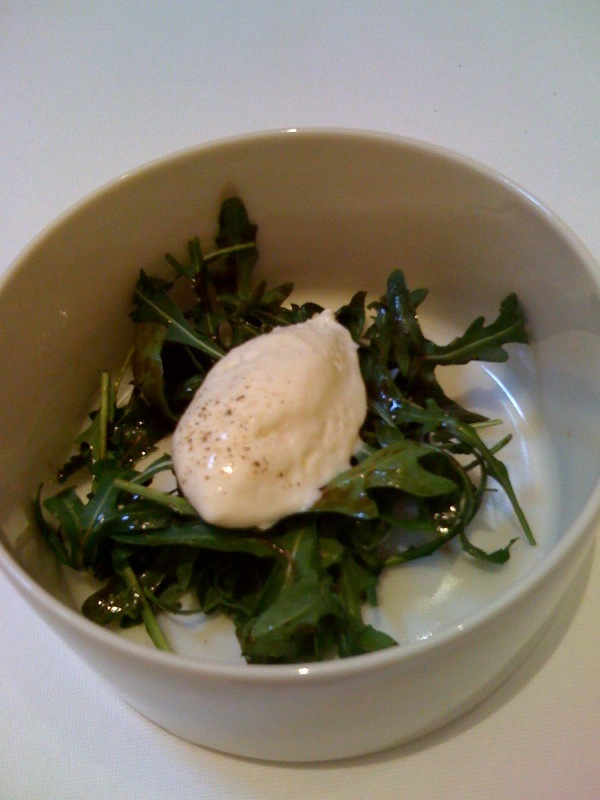 Boil the milk, turn off the gas at boiling point and slowly pour into the egg mix while beating with a wooden spoon. Then fold the chunks of mozzarella into the hot mixture until melted. I like a bit of “chewyness” so I diced biggish chunks and did not wait till it melted all. This is a very subtle and unusual combination of flavours but it works and makes a stunning starter to a chic dinner party. I served it to the family with the previously blogged about risotto and we all enjoyed the experience even if this is not quite proper family fare and I am stretching my blog core subject here! 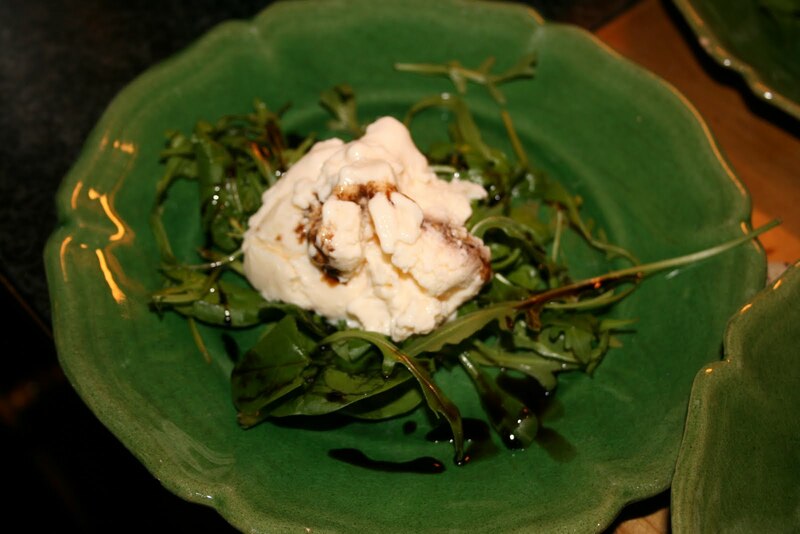 I took this photo at Sketch and their Mozzarella ice-cream served on a bed of rocket salad drizzled in balsamic vinegar inspired my own recipe.